On Saturday May 2nd, Newport Beach residents witnessed the 4th Annual gathering of the Standup for the Cure’s celebration of Life! 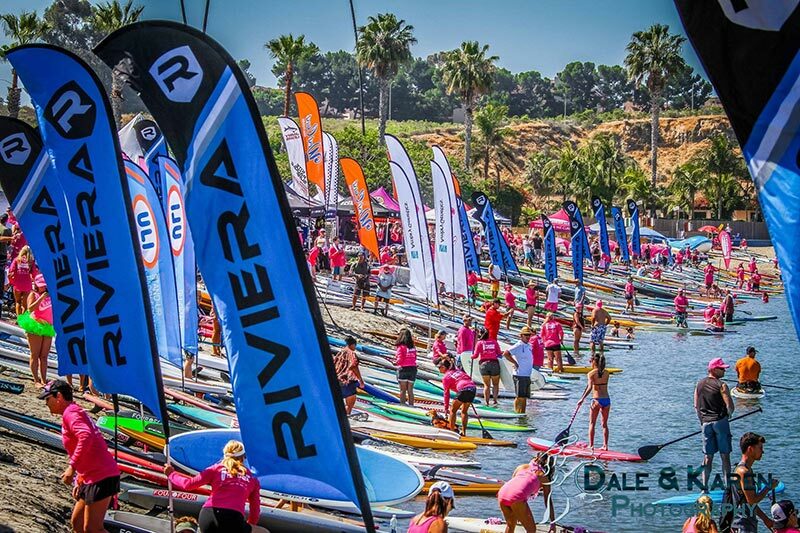 Once again a crowd of over 1000 came together to raise funds and awareness for early Breast Cancer Detection, research, treatment and education while enjoying a day of Standup Paddling, Live Music and great food and drink. This past weekend, the team at Standup for the Cure (SUFTC) hosted the 4th Annual Event at the Newport Dunes Resort in Orange County, Ca. 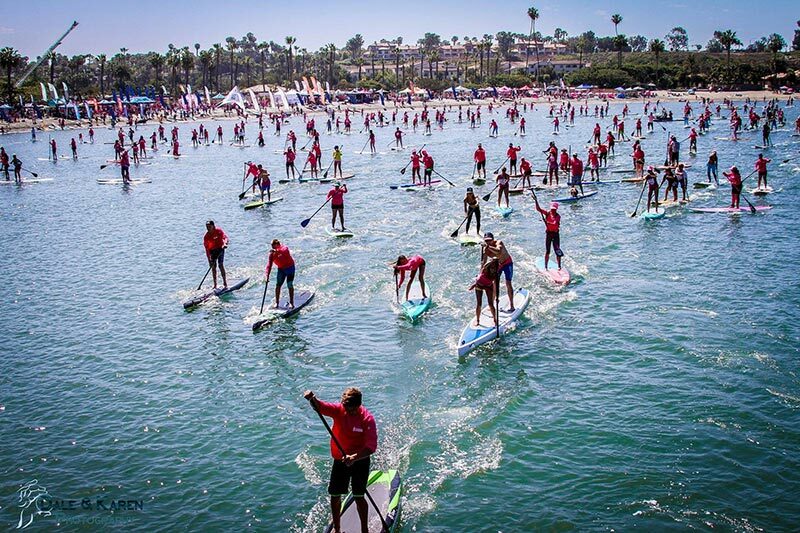 Participants traveled from as far as Boston to take part in what has become the World’s largest Standup Paddling event and leader in Women’s Health Fundraising. “Our Mission is to Have Fun while saving lives” says Standup for the Cure’s Judie Vivian who is a Breast Cancer Survivor and tireless advocate for the event. 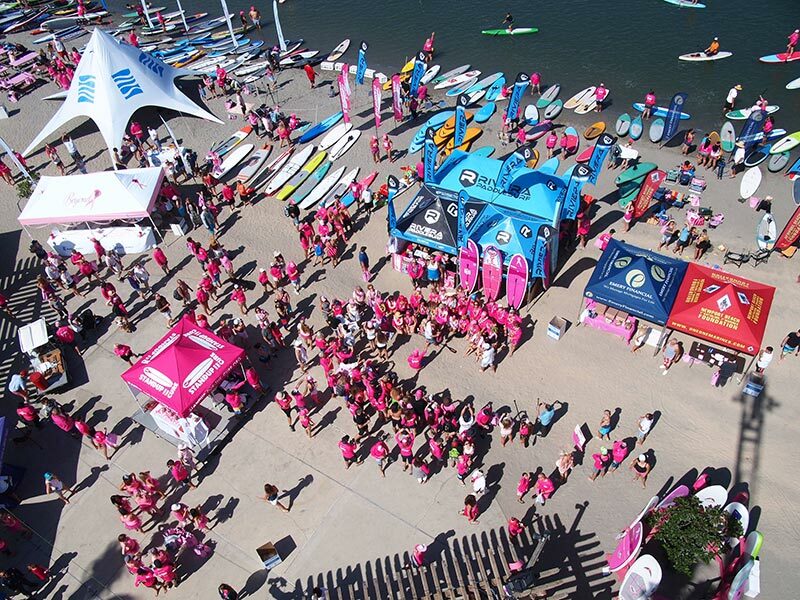 Ambry Genetics, Riviera Paddlesurf, Kaiser Permanente and GLOBHE help fund the effort that includes free Breast Cancer and Melanoma Screenings, Standup Paddleboard Lessons and Demos, “Sea of Pink” 5k Fun Paddle/Race, Live Music, Lunch, Happy Hour and Health and Fitness Expo. Over 1000 participants donned Pink Jerseys in tribute to Survivors and Victims of Breast Cancer. The day began with a Hawaiian Blessing and the release of dozens of White Doves to symbolize the dream of a world Free of Breast Cancer. SUFTC’s Professional crew of paddlers, led by Zane Schweitzer, Brennan Rose, Annabel Anderson and Joanne Hamilton-Vale guided the Team of Survivors, including “Pink Promise” Team leaders Suzanne Yeo and Georganna Hall Wadsack on a “Victory Lap” of the lagoon before the horn blew for the Annual “Sea of Pink” 5k SUP Race.